**Aurora Arbors** Brand New Mid-Rise Development In Aurora! Quality Build By Brookfield Homes. **Upgrades Include** - Laminate Throughout, Raised Vanity In Washroom, Kitchen Backsplash, Valence Lighting In Kitchen, Quartz Kitchen Counter Top, Undermount Kitchen Sink, Smooth Ceilings Throughout, Custom Paint Throughout. 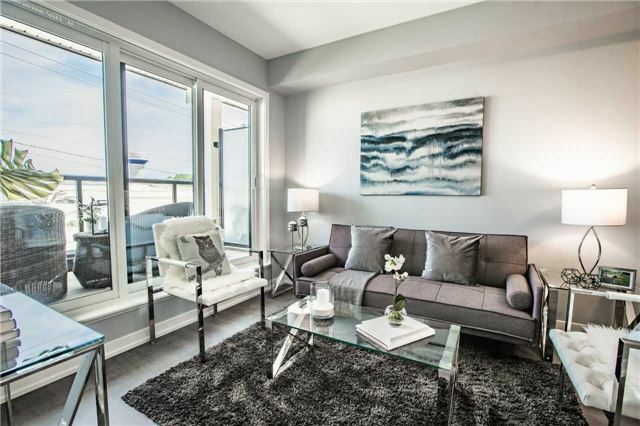 Close To Hwy 404 And Close Proximity To All Conveniences. All S/S Appliances, All Existing Window Coverings, All Existing Light Fixtures. Full Size Washer & Dryer, 1 U/G Parking Spot, 1 Large Locker Ground Level. Amenities Incl: Guest Suites, Gym, Pet Mud Rm, Game Rm & More! No Pets, No Smoking.